Puerto del Hambre, XII Region, Chile. 04 Sep 2001. Dirk Schories. © Dirk Schories (dirk.schories@gmx.de). Published in: Villouta, E. & Santelices, B. (1986). Lessonia trabeculata sp. nov. (Laminariales, Phaeophyta), a new kelp from Chile. Phycologia 25: 81-86. The type species (holotype) of the genus Lessonia is Lessonia flavicans Bory. Type locality: La Herradura de Guayacán, Coquimbo (29º58'S; 71º22'W), Central Chile (Villouta & Santelices 1986: 82). Holotype: adult sporophyte: J. Vásquez; April 1982; 7 m deep. MNHN SGO 102908 (Villouta & Santelices 1986: 82). Notes: Isotype: SS/UC5735-10. South America: Chile (Santelices 1989, Ramírez & Santelices 1991, Hoffmann & Santelices 1997, Rothman et al. 2015 ), Peru (Cho et al. 2006), Temperate South America (Ramírez & Santelices 1991). Asensi, A. & de Reviers, B. (2009). Illustrated catalogue of types of species historically assigned to Lessonia (Laminariales, Phaeophyceae) preserved at PC, including a taxonomic study of three South-American species with a description of L. searlesiana sp. nov. and a new lectotypification of L. flavicans. Cryptogamie, Algologie 30(3): 209-249. Tala, F., Véliz, K., Gomez, I. & Edding, M. (2007). 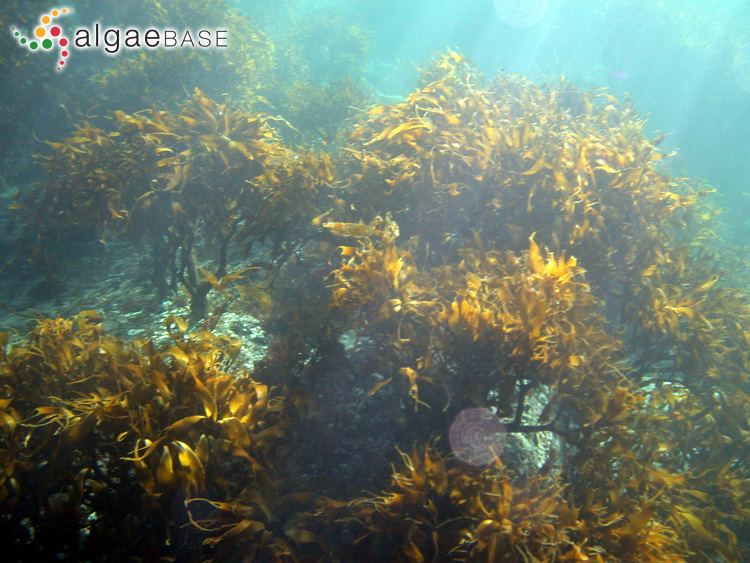 Early life stages of the South Pacific kelps Lessonia nigrescens and Lessonia trabeculata (Laminariales, Phaeophyceae) show recovery capacity following exposure to UV radiation (Research Note). Phycologia 46(4): 467-470. Accesses: This record has been accessed by users 7860 times since it was created. Edding, M. E., Fonck, E., Orrego, P., Venegas, M. & Macchiavello, J. (1993). A comparison between two populations of Lessonia trabeculata (Phaeophyta: Laminariales) microscopic stages. Proceedings of the International Seaweed Symposium 14: 231-237. Edding, M., Venegas, M., Orrego, P. & Fonck, E. (1990). Culture and growth of Lessonia trabeculata (Phaeophyta, Laminariales) juvenile sporophytes in La Herradura de Guayacan Bay, northern Chile. Hydrobiologia 204/205: 361-366. Edding, M., Venegas, M., Orrego, P. & Fonck, E. (1990). Culture and growth of Lessonia trabeculata (Phaeophyta, Laminariales) juvenile sporophytes in La Herradura de Guayacan Bay, northern Chile. Proceedings of the International Seaweed Symposium 13: 361-366. Tala, F. & Edding, M. (2007). First estimates of productivity in Lessonia trabeculata and Lessonia nigrescens (Phaeophyceae, Laminariales) from the southeast Pacific. Phycological Research 55(1): 66-79. Venegas, M., Matsuhiro, B. & Edding, M.E. (1993). 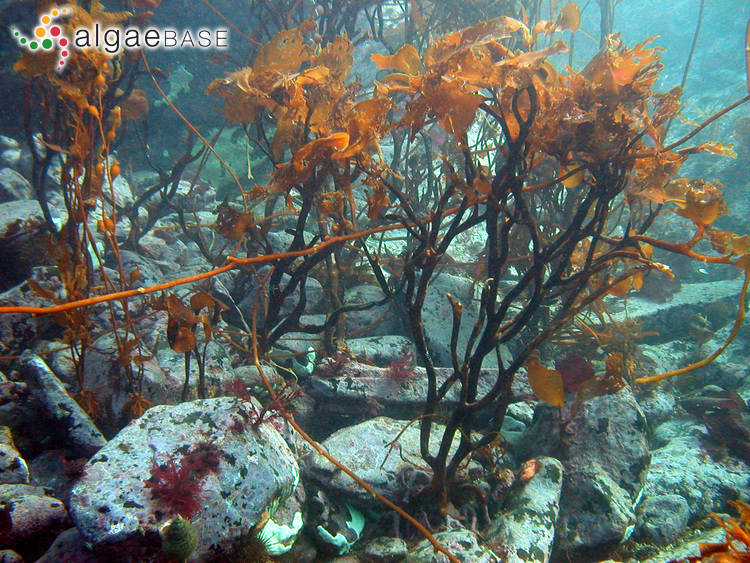 Alginate composition of Lessonia trabeculata (Phaeophyta: Laminariales) growing in exposed and sheltered habitats. Botanica Marina 36: 47-51, 4 tables. Villouta, E. & Santelices, B. (1986). Lessonia trabeculata sp. 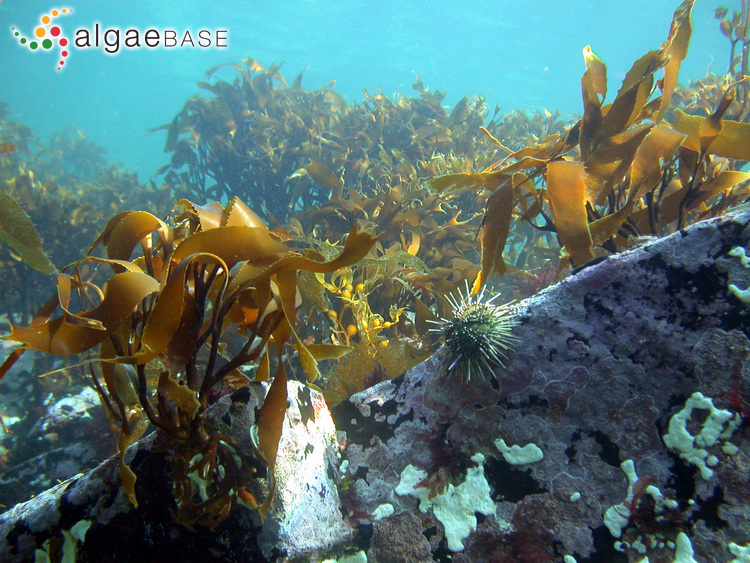 nov. (Laminariales, Phaeophyta), a new kelp from Chile. Phycologia 25: 81-86.